From Nathan Tasker’s album “Home” (iTunes), the single “Eternity (What we were made for)”. 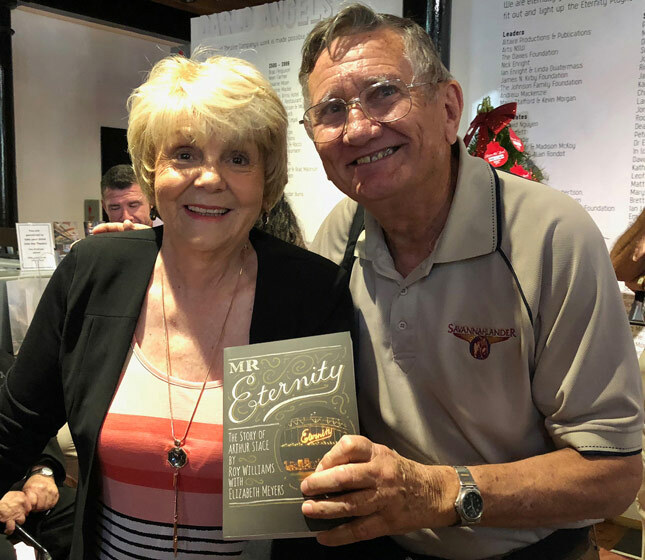 Eternity: How Arthur Stace’s handwritten chalk message became a symbol of Sydney – Sun-Herald. We understand that HammondCare’s David Martin will be on Open House on Hope 103.2FM this Sunday evening. Cathedral to remember ‘Mr Eternity’, Arthur Stace, this Sunday. 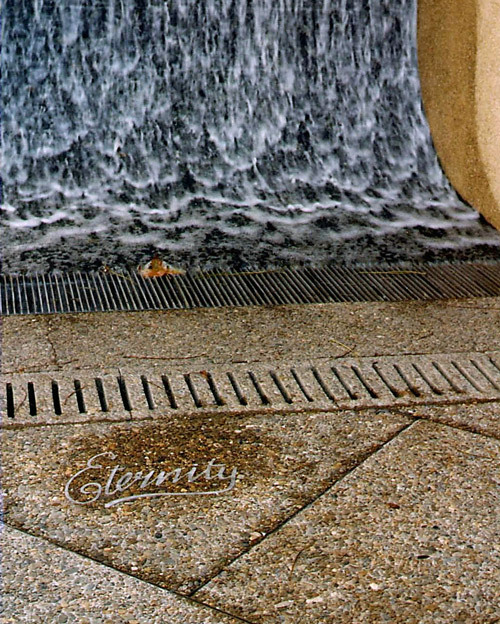 The Eternity waterfall after 40 years. 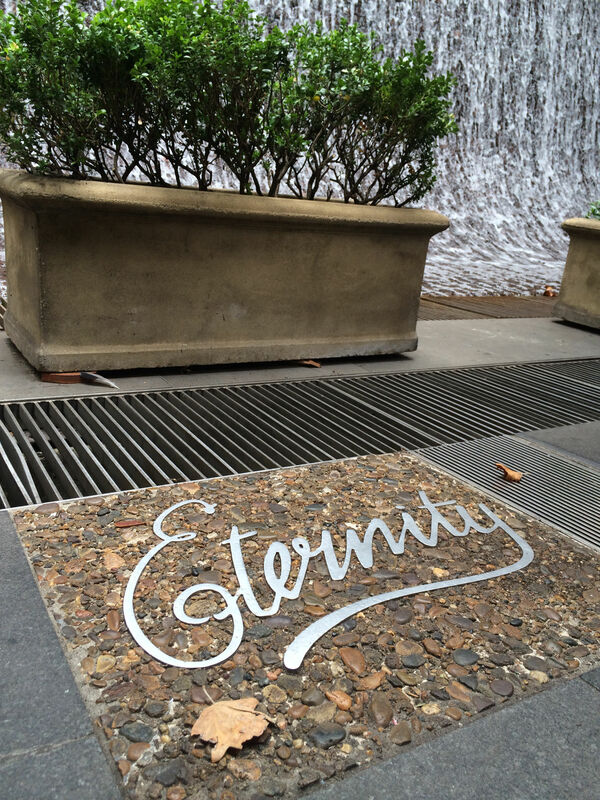 Forty years ago, the Eternity plaque at the waterfall in Sydney Square was unveilled. 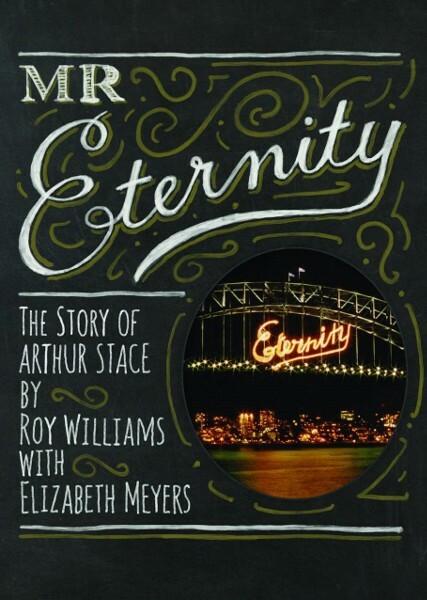 “TRUE to his words of last November, Ridley Smith, the Sydney Square architect, has immortalised the late Arthur Stace, ‘Mr Eternity’. You may recall that Column 8 campaigned unashamedly for a suitable memorial to Mr Stace, Sydney’s footpath evangelist for 20 vears until 1967. Ridley Smith promised it without strings. Ridley Smith (pictured) was named for evangelist John G. Ridley, who was a friend of his father. 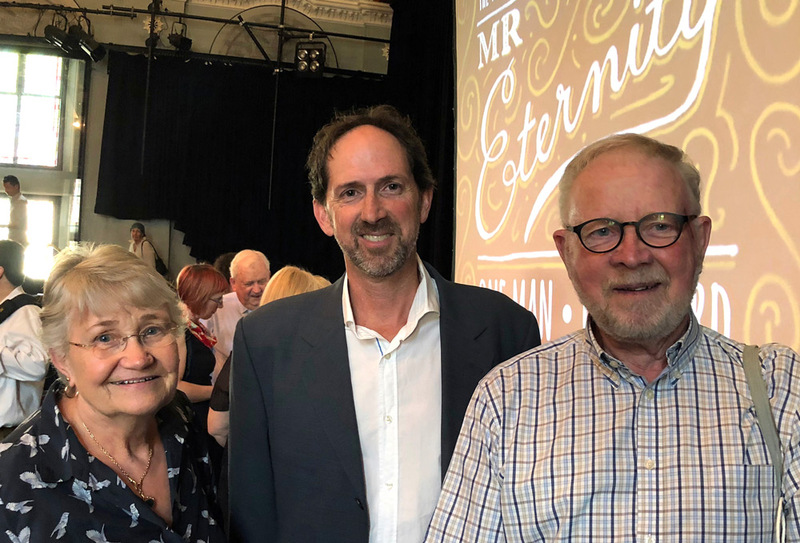 In November 1932, Arthur Stace had been in the congregation at the Burton Street Tabernacle in Darlinghurst when John Ridley preached on the need to be ready for eternity. 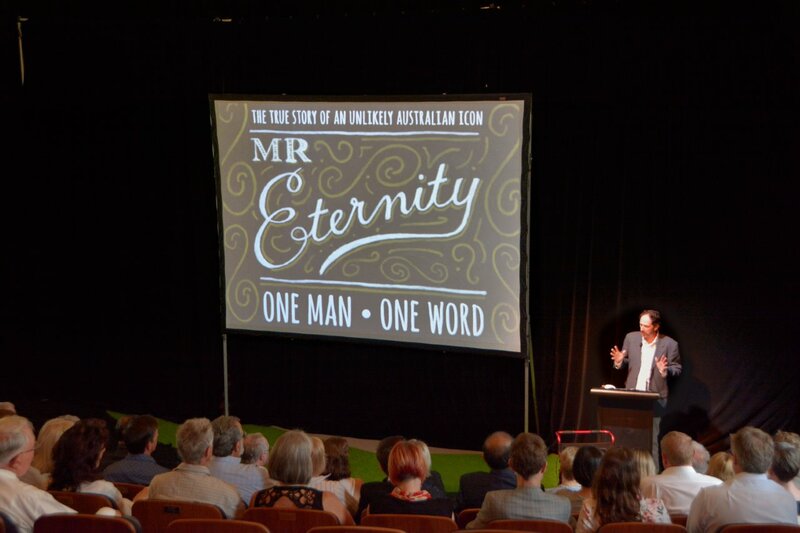 It was this sermon which inspired Stace to begin his 34 year campaign of writing that word on the streets of Sydney. Arthur Stace died on 30 July 1967, fifty years ago this month. (1) Alan Gill, “Sydney’s Phantom Preacher”, The Catholic Weekly, 31 August 1994. 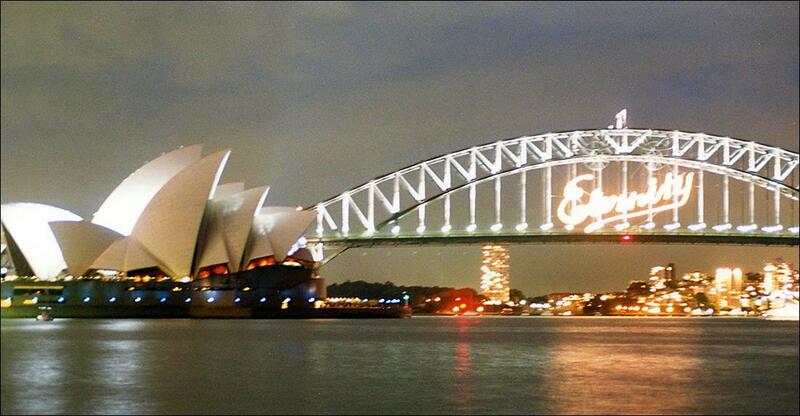 Seventeen years ago, Sydney celebrated the beginning of 2000 by displaying on the Harbour Bridge the word Eternity in the iconic copperplate handwriting of Arthur Stace. A lot of water has passed under the bridge (literally) since then, and in many ways the world has changed. But the basic need of men and women is the same – to hear the gospel and be saved. In 2017, be encouraged to continue to trust Christ, and to live in the light of eternity. Read the story of Arthur Stace in our Resources section.